Wow! What a game. A little slow in the 3rd quarter, but I'll take it anyway. This ought to prove that we deserve to be where we are. 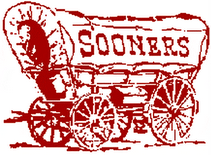 Oklahoma Sooners - 2008 Big 12 Champions!